The Australian boab tree (Adansonia gregorii) is related to the Madagascan and African Adansonia species known as baobabs. They are an amazingly common site in the Kimberley. 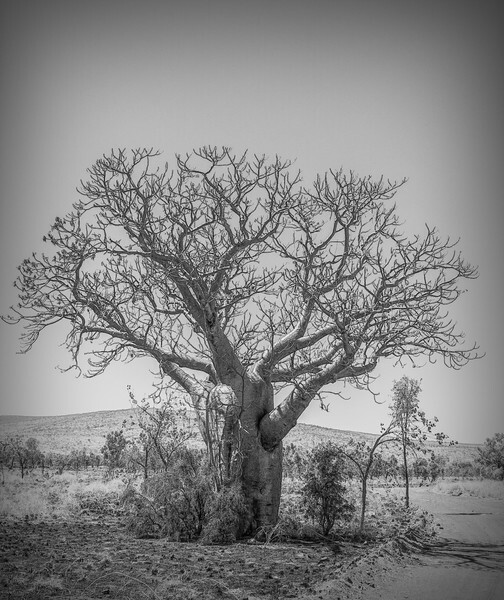 There are two theories about how boab trees arrived in Australia. One says the seeds have floated here from Africa and spread from the coast. The other theory suggests boabs might have survived from the time when Africa and Australia were both still part of one continent, the ancient Gondwana, 65 million years ago.